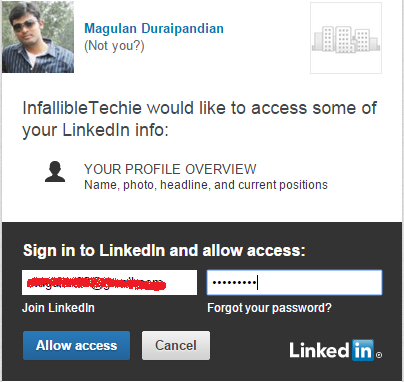 Infallible Techie: How to login into Salesforce using Linkedin credentials? 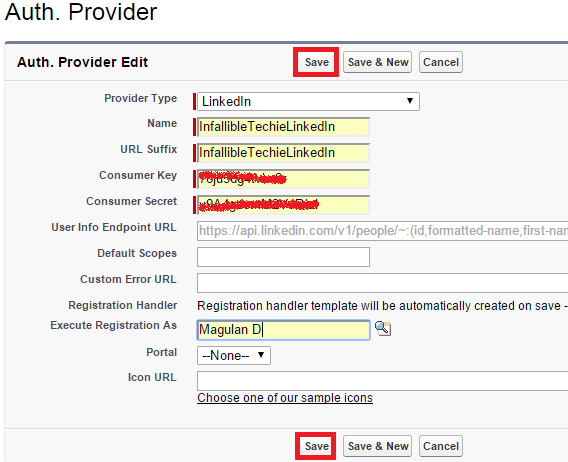 How to login into Salesforce using Linkedin credentials? Note: Make sure Default Scopes are selected. 2. 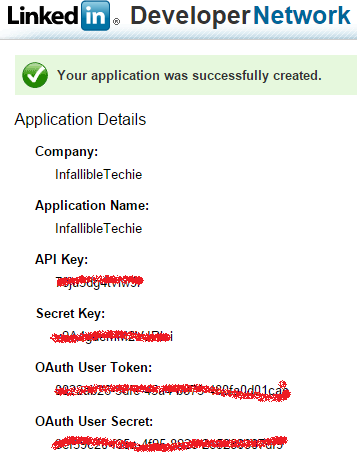 Save the application Details. 3. 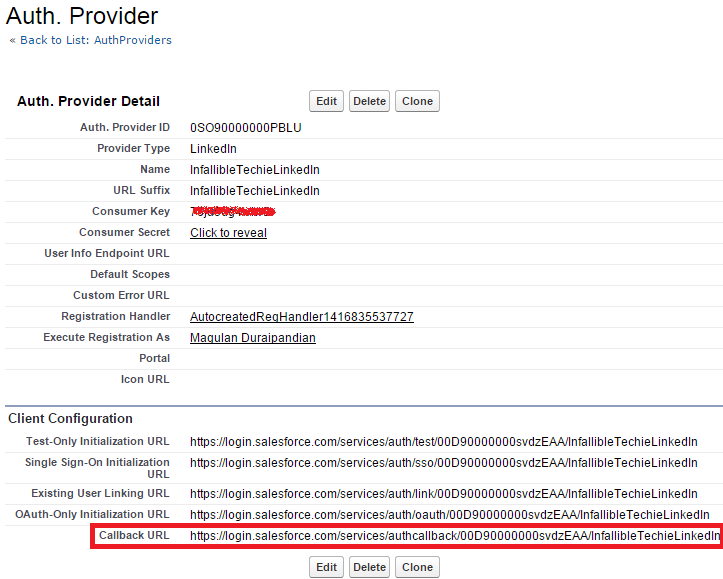 Create Auth Provider in Salesforce. 5. 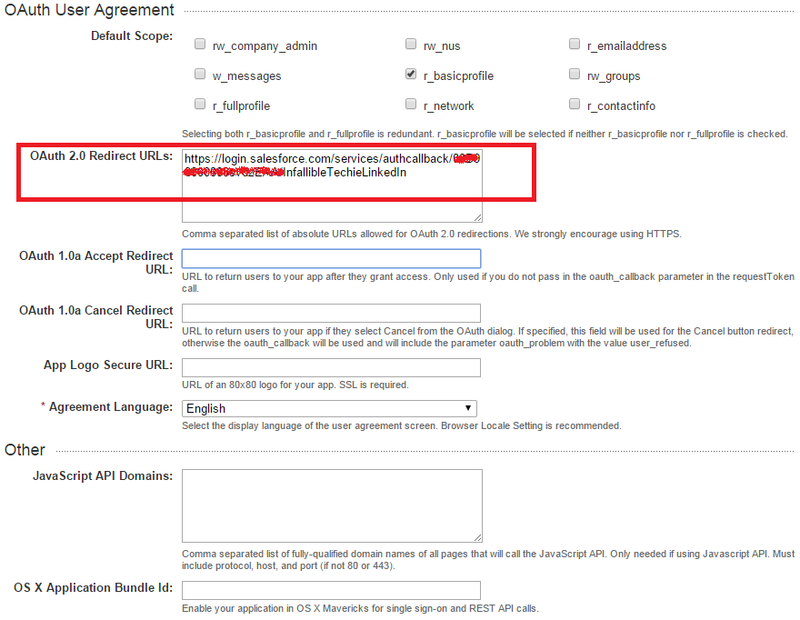 Copy the callback URL. 6. Paste it in Linkedin App. 7. 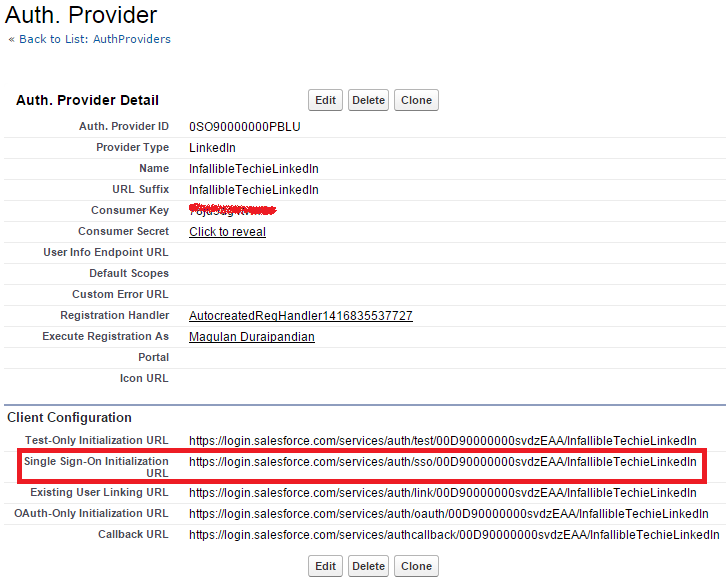 Use "Single Sign-On Initialization URL" to login into Salesforce using Linkedin Credentials. 8. 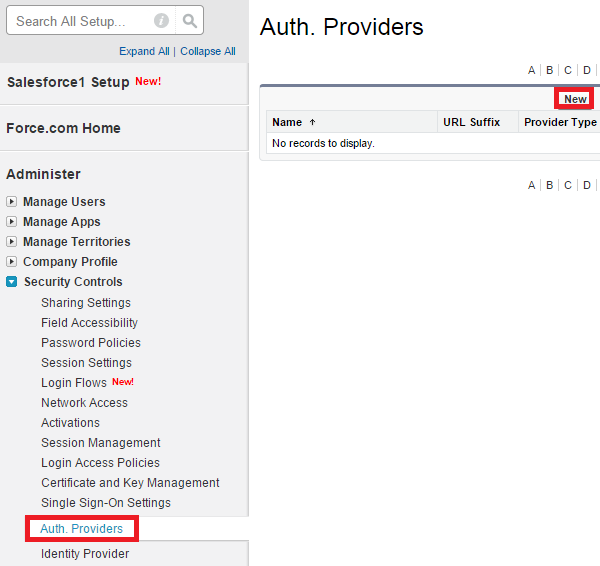 Click "Allow Access" to login into Salesforce using Linkedin credentials.